Odessa has linked up with Paste Magazine to exclusively debut her Odessa EP [Chop Shop/Republic Records]. You can listen to the four-song set in its entirety here. The EP will be available for purchase on iTunes and all digital partners tomorrow September 16. The California singer and songwriter’s buzzing single I Will Be There also received a high-profile placement on the premiere episode of Fox’s new comedy-drama The Red Band Society which aired this Wednesday 17 September. The song’s hypnotic harmonies pulsate through a key scene of the show. Odessa has officially hitting the road in support of the EP. She joined LP on September 18 until September 21 and will then support Brett Dennen September 24 until October 22. Odessa EP features the engaging and entrancing single I Will Be There. Projecting an artful story through blissful guitars and endearing vocals, the track continues to amass buzz for the artist. Produced by Jacquire King [Tom Waits, Kings Of Leon], the four-song EP welcomes everyone into Odessa’s world. Take a listen to I Will Be There here. 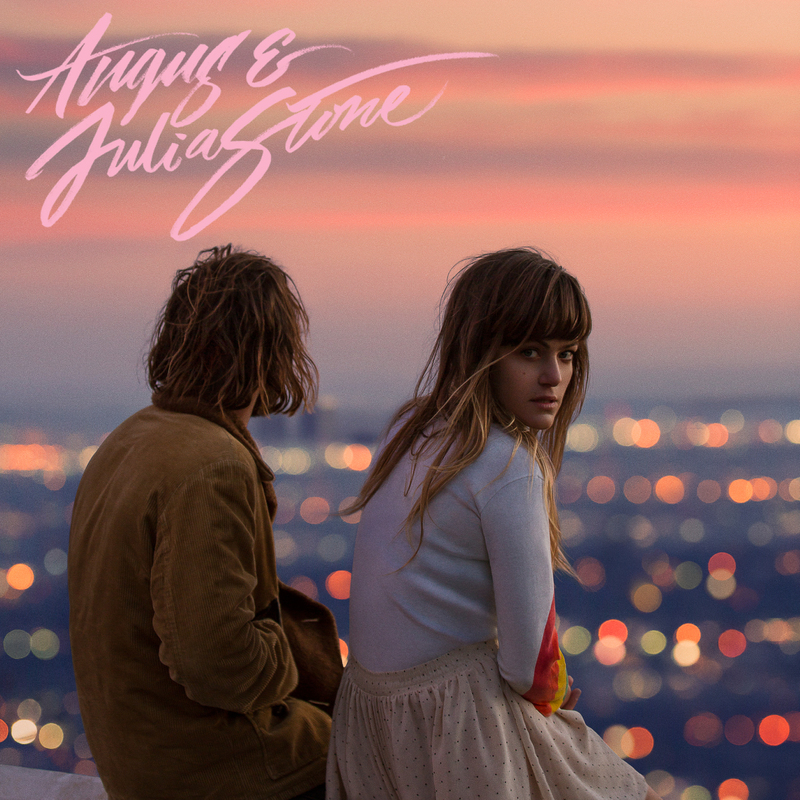 Australian duo Angus & Julia Stone released their highly anticipated full-length album Angus & Julia Stone on August 1 via American Recordings. The Rick Rubin produced full-length, which has already hit number one in France, New Zealand, Switzerland and Australia, is now available on iTunes, Amazon, Spotify and in all good records stores worldwide. In support of their highly anticipated album release, the band recently premiered a new video for their single A Heartbreak with The New York Times and now reveal a brand new official video for their track Grizzly Bear, also taken from their Angus & Julia Stone album. Currently on a worldwide tour that has taken them across Europe and now on the road Down-under, the siblings will be making a welcomed return to North American shores this fall where they’ll kick things off on their sold out tour which starts on October 6 at the House of Blues in San Diego, California, winding through the mid-west, north and ending on the east-coast. Ben Howard has unveiled a dramatic first track as a taster to his forthcoming second album. The new track is called End Of The Affair and can be heard here. The details of the sensational singer/songwriter’s second album will be announced soon. As previously announced Ben Howard will appear at San Francisco’s Outside Lands Music festival and then in September heads out on a short run of European headline dates, including London’s Hackney Empire on September 4. All shows sold out within minutes of going on sale. 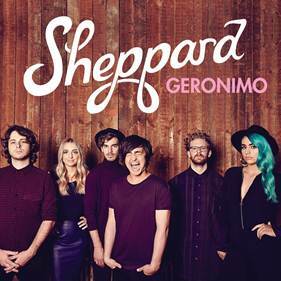 Australian phenomenon Sheppard make their long-awaited North American debut with the Geronimo EP, available through iTunes and all digital retailers next Tuesday August 12 2014. Last week, the group premiered the cinematic music video for the title track which was made available for the first time in the U.S. on Idolator. Currently quadruple-platinum in Australia, Geronimo merges artful instrumentation with indie rock panache and undeniable pop prowess. With its anthemic chorus and refreshing blend of male and female harmonies, it is evident why the song has become the number one most played track on the Australian Airplay Chart and holds the record for the longest running number one single by an independent Australian artist. What’s more, Geronimo is the highest selling Australian song of the year. This month, the Brisbane six-piece’s independent Australian album debut, Bombs Away, took number one on Australia’s top album charts, cementing Sheppard as one of the country’s foremost breaking acts. Across the pond, UK fans have responded with similar enthusiasm. Global streams on Geronimo exceed one million and counting while UK streams alone are impressively nearing 150,000 with 20,000 on Spotify during release week. Currently, the song also stands strong at number three on the UK’s Spotify viral chart. Now, Sheppard is gearing up to conquer the United States. Most recently, the band gave a much buzzed about performance on the grand finale of The Voice in Australia and VIBE Magazine named them one of five acts “ready to pop.” Moreover, other artists and tastemakers have been quite vocal about their admiration of Sheppard. The Vamps, Scooter Braun and more recently tweeted their support. Sheppard is comprised of siblings, George, Amy and Emma Sheppard along with friends Jay Bovino, Michael Butler and Dean Gordon. They officially touch down with Geronimo next week. The captivating third, self titled album from Angus and Julia Stone is said to be the best record the siblings have ever made, a record born of spontaneity and totally unplanned. “It took a while to get to a place where we thought it was a good idea,” they admit. “We were enjoying the time apart, enjoying our different directions. There was no conversation of, ‘When are we doing another Angus & Julia record?’ It never even came up.” In fact, the pair, over the last couple of years on solo adventures never even saw each other, aside from unexpectedly bumping into each other on the street in Paris. Raised in Sydney’s northern beaches, after word-of-mouth heat and early EPs the brother and sister duo demanded attention with their 2007 debut, A Book Like This, which was produced in London by Travis’ Fran Healy. Three years later, and the result of endless tours through Europe, North America and Australia, Angus and Julia delivered the multi-platinum, ARIA-conquering Down the Way. Led by the gentle anthem Big Jet Plane, the band had it all; a number one record, pole position in Triple J’s Hottest 100, ARIA trophies for Single and Album of the Year, invitations to play festivals like Splendour in the Grass, Coachella, Bonnaroo, Austin City Limits and others. Years of touring internationally saw them selling out venues across Europe, playing to over 10,000 people at their Paris shows. But their joint success had posed the question: could they do it alone? Angus and Julia had always been separate songwriters; initially, they’d never intended to be a duo. It was time to make a change. And so, after wrapping tour commitments in New York City and Los Angeles Julia recorded her commanding second solo effort, By the Horns. Angus kept busy creating his own critically acclaimed release, July 2012’s Broken Bright’s. Both albums hit their mark, each songwriter revelling in the freedom of a singular vision. There was absolutely no plan to re-team. For the first time ever the pair wrote side by side. For two weeks they holed up in Palisades, in the dry heat of summer, jamming with musicians on new songs, and working through existing tracks Angus had demoed at home in NYC and Julia had been writing while living down in Venice Beach. In September 2013, they walked into Rubin’s Shangri La Studios in Malibu. “There’s Bob Dylan’s old 70’s tour bus in the front yard,” Julia described. She continued: “Then you’ve got the feeling of all the bands who’ve recorded there…The old scuff marks on the felt of the billiard table from the gang back when. Velvet textures, dust-filled dreams, golden melodies. To say that this record is the band’s most grown up offering is no back-handed compliment. The record is pure Angus and Julia but there’s a brand new potency here; richness you can’t ignore – the record tracks are of spirit and statement. Angus and Julia’s creative union has resulted in their best work yet. It’s a record steeped in feeling and filled with a new found freedom and confidence that’s palatable throughout. From the lazy garage strummed Other Things to the stomping drive of A Heartbreak, the hypnotic, languid pull of Main Street to the west coast guitar of Grizzly Bear, the record moves from mood to mood, drawing you near. Heart Beats Slow is a kiss goodbye to a long time lover while Little Whiskey burns with Angus and Julia’s most electric energy yet. By November 2013 the tracking was done with mixing completed by Billy Bush in March 2014. Four years on from their last joint effort, Angus and Julia have delivered an album that defies expectations. Call it a coming of age or a re-invention but the new self titled record by Angus and Julia is the most exciting, visceral listen yet. Formed in Brisbane in 2011, Sheppard is comprised of siblings, George, Amy and Emma Sheppard along with best-mates Jay Bovino, Michael Butler and Dean Gordon. After conquering their native Australia, Sheppard is set to make their U.S. debut with the ultra-catchy pop anthem, Geronimo. Geronimo became the first independently released Australian single to top the ARIA chart since the 1970’s and is now the longest reining independent Australian number one of all time. The song has been number one on the Australian national airplay charts for over seven consecutive weeks since April and still remains in the top five. It is currently the most tagged track on Shazam in Australia, and is three times platinum. The band is now set to make its way to the States. In anticipation of the June 13 2014 theatrical release of Columbia Pictures/Metro-Goldwyn-Mayer Pictures’ 22 Jump Street, one of the year’s most eagerly awaited action-comedies, Casablanca Records has teamed with the studios to release the soundtrack album to the film. The album will be released on iTunes and other digital outlets on June 10 and in stores on June 24. In addition to noteworthy hits from Wiz Khalifa, Tiësto, Duck Sauce and more, the track listing features two unreleased tracks from Travis Barker, blink-182’s iconic drummer, and the critically acclaimed hip-hop sensation Angel Haze. Barker enlists Juicy J and LIZ for the hyper-charged and hypnotic, Live Forever. Ignited by a furious beat from Barker, it’s an undeniable and uproarious banger. Angel Haze, alongside none other than Ludacris, delivers 22 Jump Street (Theme From The Motion Picture), giving the movie its own anthem. The Angel Haze song, 22 Jump Street (Theme From The Motion Picture) premiered this week on Vibe.com. In 22 Jump Street, after making their way through high school (twice), big changes are in store for officers Schmidt (Jonah Hill) and Jenko (Channing Tatum) when they go deep undercover at a local college. But when Jenko meets a kindred spirit on the football team and Schmidt infiltrates the bohemian art major scene, they begin to question their partnership. Now they don’t have to just crack the case – they have to figure out if they can have a mature relationship. If these two overgrown adolescents can grow from freshmen into real men, college might be the best thing that ever happened to them. Directed by Phil Lord and Christopher Miller. Screenplay by Michael Bacall and Oren Uziel and Rodney Rothman, from a story by Michael Bacall and Jonah Hill, based on the television series, 21 Jump Street created by Patrick Hasburgh and Stephen J. Cannell. The film is produced by Neal H. Moritz, Jonah Hill and Channing Tatum.